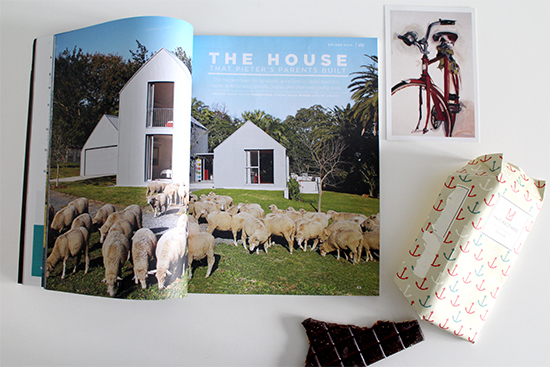 have you read the latest Visi magazine? 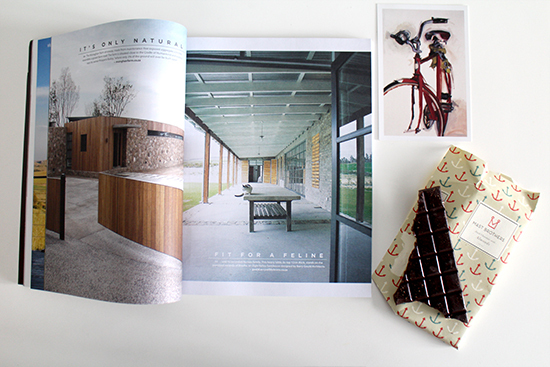 I escaped into my copy this past weekend and loved the country-inspired images and ideology of introducing the country into your home. 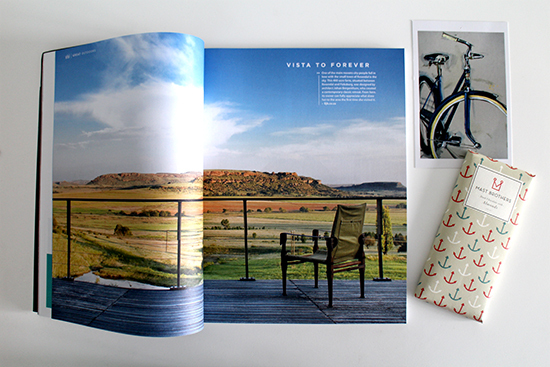 The cover features a giant image of the long dirt road extending into the Tankwa Karoo, shot by Adriaan Oosthuizen, covering a feature wall of a double-volume interior – cleverly bringing the outdoors in. Having recently visited the Tankwa Karoo area, the serenity of this cover with its magnificent landscape resonated with me. 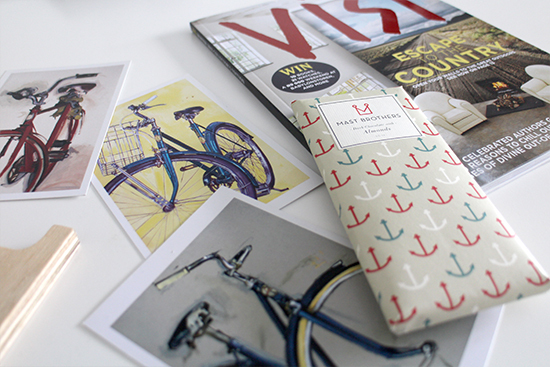 So I’ve snapped a few pictures from the magazine, simply styled with a few NYC mementos – bicycle postcard artworks by Taliah Lempert and a slab of Mast Brothers dark chocolate, the Brooklyn brand which, as you know, have the most awesome packaging. 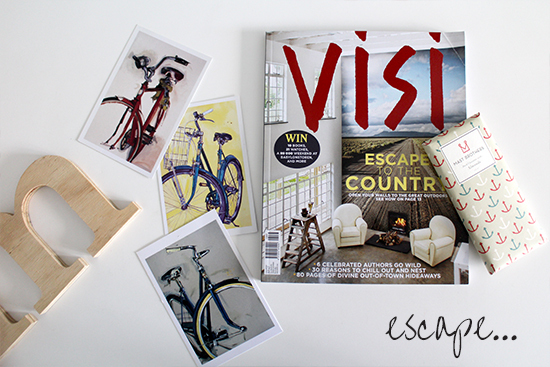 There’s so much beauty in this issue of Visi magazine…don’t delay in getting your copy and escaping to the country. all images by Megan Smith for Dressed By Style. This entry was posted in inspire, my photography and tagged magazine, photography, South Africa, Visi Magazine on August 19, 2013 by DBS.